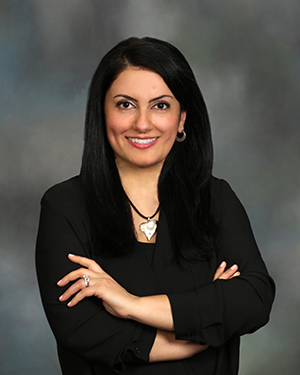 Dr. Mina Ranzurmal is committed and dedicated to better her knowledge of dentistry by taking continuing education classes in occlusion and prosthodontics with Dr. Frank Spears, root canal treatment with Dr. Steve Buchanon, and Cosmetic Dentistry with Dr. Goldstein and many other well known dentists. She has a passion for dentistry and provides her patients with the dental care they deserve. She is looking forward to make your dental visit a wonderful experience. Dr. Mina Ranzurmal received her B.S. in Chemistry from Fairfield University. She then acquired her M.S. degree in Microbiology from Seton Hall University in South Orange, New Jersey. Subsequently, she earned her Doctorate of Medical Dentistry from University of Medicine and Dentistry of New Jersey in 2004. To improve her dental skills and dental techniques Dr. Mina did a one year General Practice Residency at St. Joseph’s Regional Medical Hospital in Paterson, New Jersey. During this one year residency Dr. Mina has improved her expertise in restorative, oral surgery, prosthodontic, and endodontic dentistry.